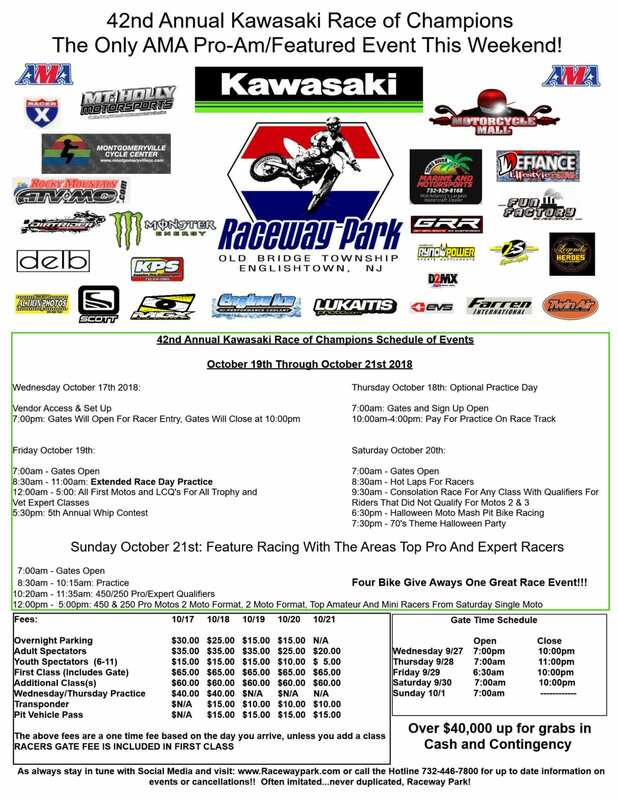 The Kawasaki Race of Champions, KROC, returns to Raceway Park on the weekend of October 19-21, 2018. This year’s event is the 42nd annual Race of Champions held at Raceway Park and will be the first at the “new” track. Mark your calendars and be sure to attend. 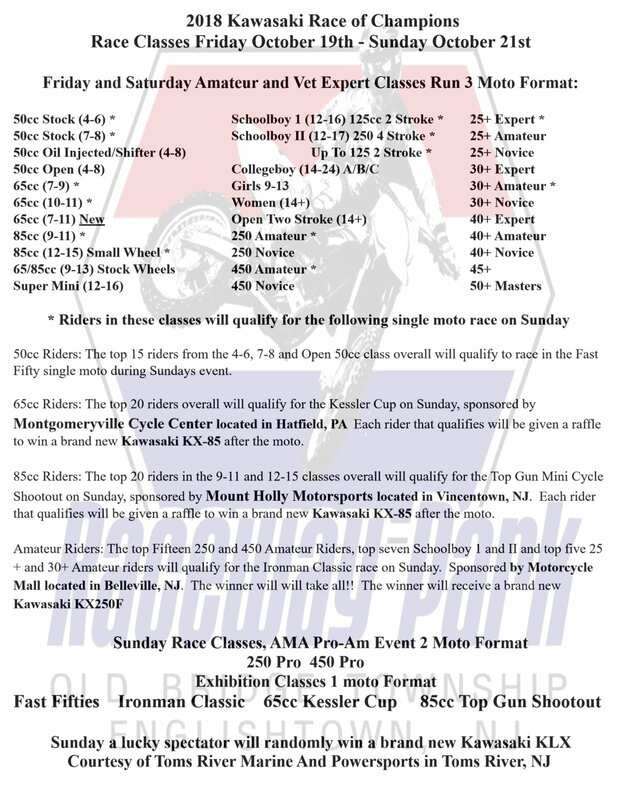 As always, NJ Motocross and Lukaitis Photo will be on hand capturing all of the racing action.